I am a finalist studying Politics at Grey College and I am delighted to be Co-President of the society this year alongside Leonora! Over the summer, I interned at Amsterdam and Partners LLP for nine weeks where I worked on a class action for violations of U.S. Federal Securities Laws. In previous summers, I have worked at the Swiss Embassy, IBM, Africa Legal Network and Africa Practice and this year I am representing Deutsche Bank as their Campus Ambassador. I hope to use my experiences in law, consultancy and diplomacy to further expand the industries that our society partners with. 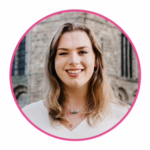 Having thoroughly enjoyed working with our sponsors and members last year as Events Manager as well as being the Events Coordinator for the Politics and International Relations Society, I am incredibly excited to take on the role of Co-President and am looking forward to helping DUWIB continue to grow as a thriving society! I am a finalist at Hatfield College studying Politics, and am incredibly excited to be the society’s Co-President alongside Aysha Satchu for 2018-2019. Over the summer I interned at EY, and also completed a 9 week internship at Aon, specialising in their fiduciary management/asset management team. I hope to either go into management consultancy or asset management after I graduate. 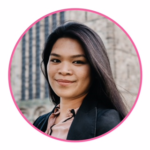 Having interned at the FT, Institute of Economic Affairs and worked as a Corporate Account Manager for a luxury retailer, I hope that I can bring my variety of experiences to DUWIB to continue developing the society for the benefit of our members. I thoroughly enjoyed helping to grow the society as Marketing Manager last year, and play for my college netball team. I look forward to managing the committee and introducing some new ideas that Aysha & I have! I am currently studying Economics in my second year at Hatfield College. 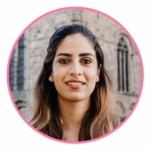 I am excited to embark on my role as Treasurer this year with Women in Business as it will allow me to put into practise the tips and skills I have picked up over various work experiences and insights at firms including Conde Nast, Engine Group and Brown Financial Advisory. My personal aim is to obtain as much experience in Financial and Management careers as possible before gradually entering into property investment. In addition to my academic studies and role on exec, I particularly enjoy long distance running after racing in the Birmingham half-marathon, college Netball and skiing whenever possible! This year I am excited to keep DUWIB finances in good order alongside helping new and old society members access contacts and opportunities that will make the transition from University to Career as seamless and enlightening as possible. I am a third year studying Archaeology and Anthropology at Hatfield College. Over the Summer I have interned at the House of Commons working in my local MP’s office which has given me an insight to a vast range of skills including handling case work and implementing policy. 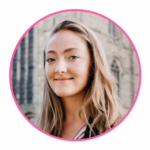 In previous summers, I have worked for the government led NCS programme for young people as a Team Leader as well as volunteering in Uganda for several months on the ICS programme. Through these experiences I have gained valuable communication and teamwork skills. I have enjoyed participation in college life through playing netball and darts, as well as university life by taking part in athletics. I have attended a vast number of DUWIB events and am incredibly enthusiastic of the work the society has done thus far. I am looking forward to building relationships with sponsors as Sponsorship Officer and am excited to work with the talented DUWIB exec and members. I am currently a second year Psychology student at Hatfield college, looking forward to being the marketing manager this year. During my first year at University, I completed an internship at L.K.Bennett in the PR and marketing team, building upon previous work experience in both brand design and intellectual property. I hope to use the experience that I have gained not only towards my role, but also for my future work in either marketing or PR for when I finish my undergraduate studies. For this year, I look forward to not only fulfilling but expanding the role, by increasing student awareness and participation in our events via social media. Additionally to my role on the DUWIB exec, in my free time I will be running a mentoring scheme with a local Durham school, helping students with their studies. Having previously been a keen member of the DUWIB society, I cannot wait to contribute towards changes in the society over the next year. I am a Hatfield student entering my second year of Business and Management. Over the summer I completed a 12 week internship at an American fin-tech company, SEI, where I worked for the Asset Management Distribution Division; an opportunity that came about from a conversation struck up on a train. As someone who is passionate about people, and whose skills lie in communication, I am excited to contribute to the country’s largest female oriented business society as its Communications Officer. I hope to work in client facing roles in the future such as financial service sales, or for fast-growing start-ups as I have a strong interest in entrepreneurship. Alongside my involvement in DUWIB I play hockey for DU, co-host a radio show, and work at a local coffee shop called Cafedral – if you have any questions regarding the society or upcoming events don’t hesitate to get in touch! I am a third year studying Geography at St Mary’s college. I have really enjoyed my time as a DUWIB member and am delighted to become your Mentorship Coordinator this year. I think the women in business events are a brilliant way of enabling members to increase their industry knowledge, gain contacts and increase their confidence to facilitate career progression. Over the summer, I have interned at BAE Systems in a procurement role developing a continuous improvement process for airframe suppliers. Last summer, I worked for SGK as a HR intern, focussing on employee learning and development. I have thrown myself into college life playing netball, swimming and completing triathlon events for charity. My sportsmanship continues outside of university, as this summer I take on the National Three Peak challenge. I am passionate to help establish fruitful relationships between DUWIB members and leading women in industry. I also want to encourage a more collaborative learning culture through internal peer mentoring. 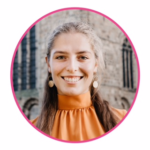 I am a fourth-year student at Hatfield College, and have just completed my degree in Geography and will now be studying for a master’s in management at the Durham Business School. Upon graduation, I am keen to pursue a career in business operations within the finance industry, and during the past two summers have completed internships at Santander and the leading asset manager BlackRock. Aside from this, I am frequently involved in volunteering both within and outside of University. During my first summer at Durham I volunteered in Cambodia teaching English. Following this I became the Head of Hatfield DUCK and the Hatfield Environment Committee, both of which are part of wider Durham networks aiming to expand the philanthropic and environmental aims of both students and the University. I am passionate about encouraging women to aspire to top careers in under-represented business areas, and by organising rewarding events for our members we can continually fulfil this aim. I’m a final year linguist, studying German and Spanish from St Mary’s college. I took my year abroad as an opportunity to gain valuable experience, working as an Events Coordinator for an NGO in Buenos Aires, Argentina organising events and travel for as many as 2000 people. 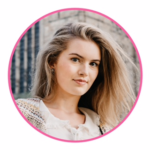 I further expanded my skills from both university-wide and professional experience, including internships at FIXR, Carat UK and STORY events, in the Marketing department of DROM fragrances perfume house. I am now looking to go into more socially orientated work, including social start-ups, NGOs, the UN and the Foreign Office. Although a less typical route for the society, I am highly driven, cherish challenges and am particularly passionate about inspiring, empowering and enabling very capable women, wherever their ambitions may lie. This year I am the co-president of the University Gospel Choir, and have also organised the first Romance Languages Ball and played for the University Tennis and Golf teams, amongst much more. 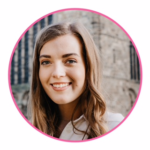 I’m Alexis, a second-year Economics student at Van Mildert. Keen to pursue a career in finance, I’ve gained practical experience in Investment Banking, Wealth Management, and Consulting. This includes shadowing the Transaction Partner and Divestitures Leader at EY, where I gained valuable exposure to M&A and complex, global transactions, a trader at N+1 Singer, where I researched market trends and observed client calls to ascertain drivers of stock prices, as well as Introduction to Investment Banking schemes with HSBC, Goldman Sachs, Nomura, BlackRock and Rothschild. Feel free to fire any questions relating to finance or the Economics course at me – happy to help! Outside of academia, I’m an active member of college, participating in Visit Comm, VM Yoga, Ball Committee and Bridge Club. This year, I’m excited to row for college with my housemates and help DUWIB members discover the variety of student opportunities on offer through recruitment events. Hi friends! My name is MJ, and I study Anthropology at Butler and I’m looking forward to planning future events with DUWIB, the second year I’ve done this role! I have done work experience in a wide array of sectors including the NHS, various banks (BAML, Barclays, BNP Paribas, Goldman Sachs) and I have also volunteered in Africa with Enactus Durham and DFID. I spent my Erasmus in Malta, where I interned at a Digital Marketing Agency and a wealth management company. I’m currently interning with the cloud team at Google. In my free time, I enjoy fitness and powerlifting. 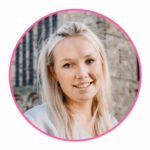 My name is Camilla Mawdesley- Thomas and I am an Events Manager for DUWIB. As Sponsorship Officer for the academic year 2017/18 I raised money for the society which was a great opportunity to develop the society as well as my professional skills. I am now in my third year studying Politics at Hatfield College and plan to work in Corporate Finance when I graduate. 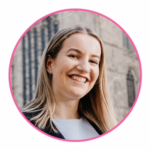 Having been involved in DUWIB since my first few weeks at Durham and having worked extensively for the society I am excited to be involved in the execution of events. DUWIB events were a crucial forum for me when exploring a variety of career paths, allowing me to make informed decisions about where and how to apply for internships. In my first year I was selected to attend the Deutsche bank spring week and then secured the summer internship at the end of my second year. I have also done a vast amount of other work experience from Barristers Chambers to Publishing Houses to the BBC. I look forward to working with some exciting sponsors and pursuing new challenges within the society. 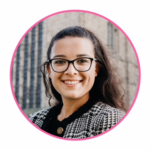 I am a finalist at Collingwood College studying law, and I’m thrilled to be on the society’s executive committee for the second year running, this time as an Events Manager as opposed to Communications Manager. 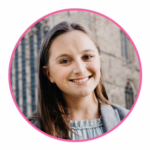 During my time studying at Durham University, I have completed a Spring Internship in Investment Banking with Goldman Sachs, work experience in local law firms and with a barristers’ chambers, and a Vacation Scheme with international commercial law firm Freshfields Brockhaus Derringer LLP. After graduating, I am excited to move to London to commence my Training Contract with Freshfields. I hope to use my experience to assist other members of the society, and I am really looking forward to meeting and working with more of our sponsors and society members this year. DUWIB is run by an annually selected Executive Committee. Applications for all Executive Committee positions open in Epiphany Term each year. Please check our Facebook page to see whether our applications are currently open.